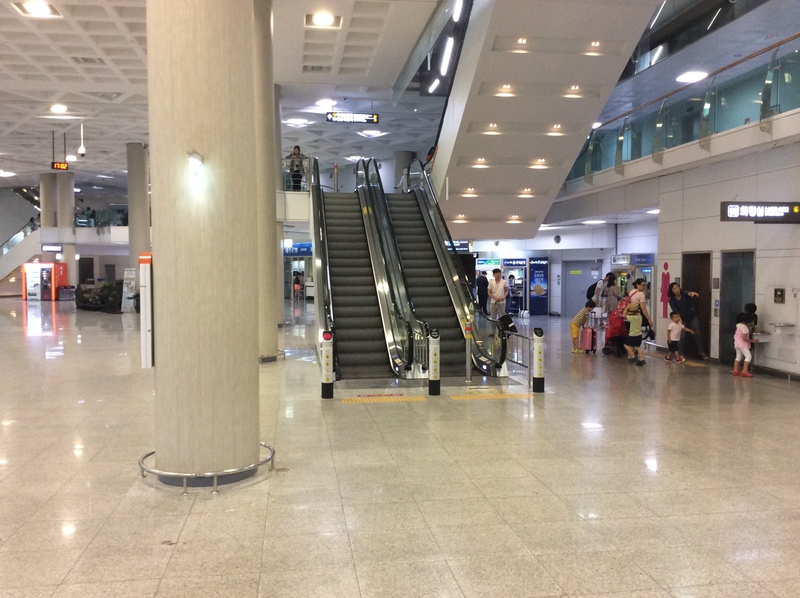 Airport is where most people arrive and depart. Assuming that, your very own journey begins from here! 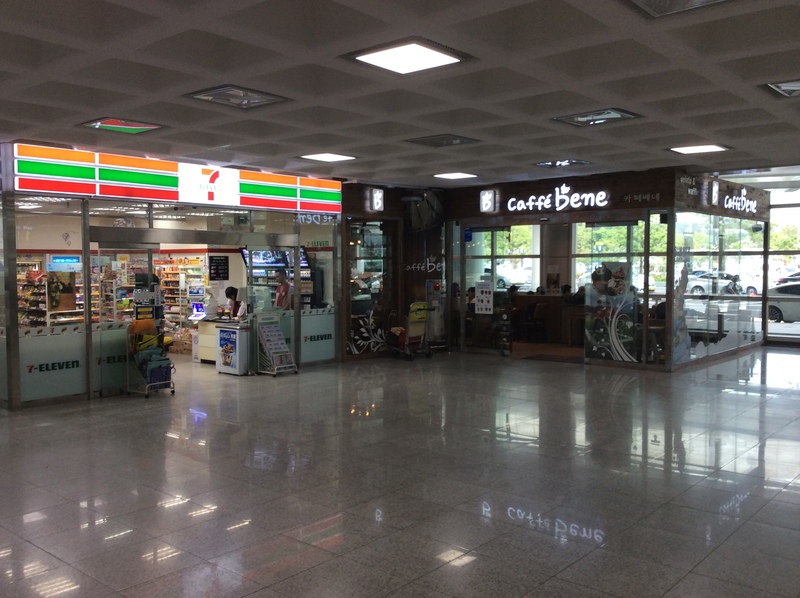 This post is for people who want more unique local experience in Jeju without rent-a-car, hotels, tourist buses (& specific plans). 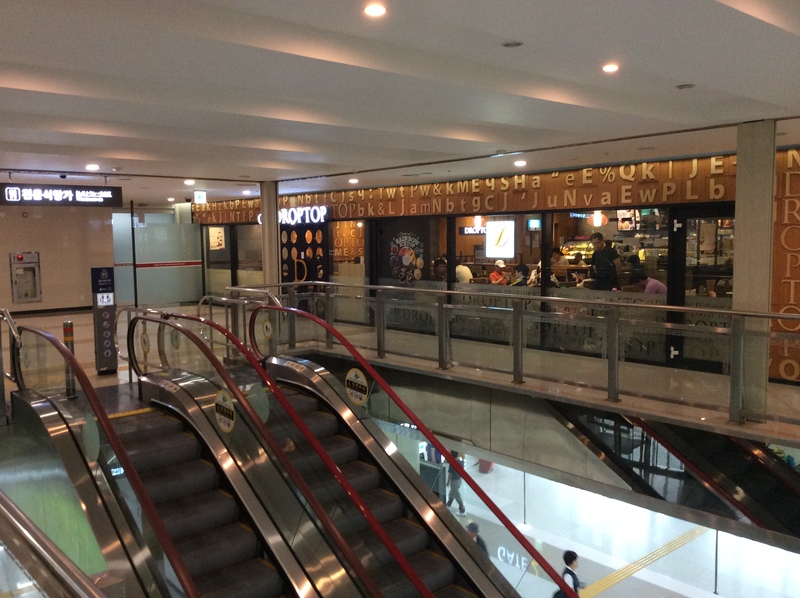 but 4th floor is not only about restaurants. 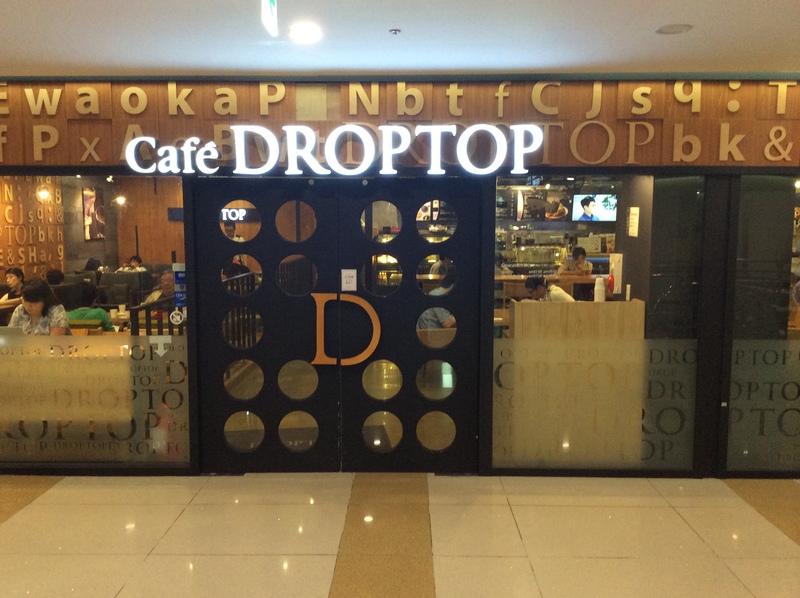 You’ll find the coffee shop titled ‘DROP TOP’ at the leftside of the airport. 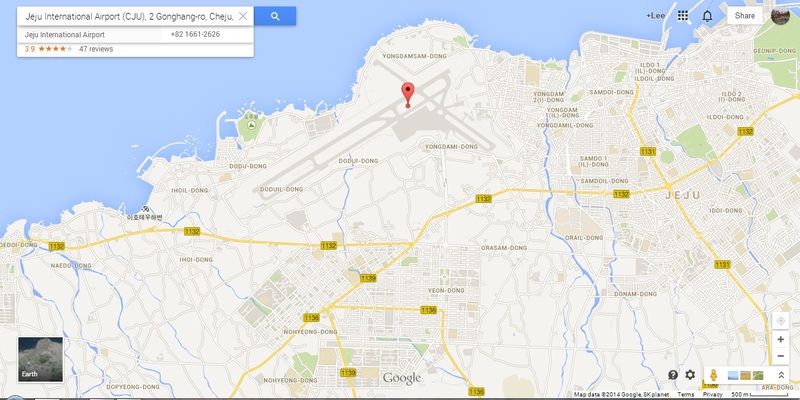 so now you can plan your journey while having a cup of coffee, and search for a place to stay. The taste of coffee wasn’t bad. Of course, there are some cheaper options. 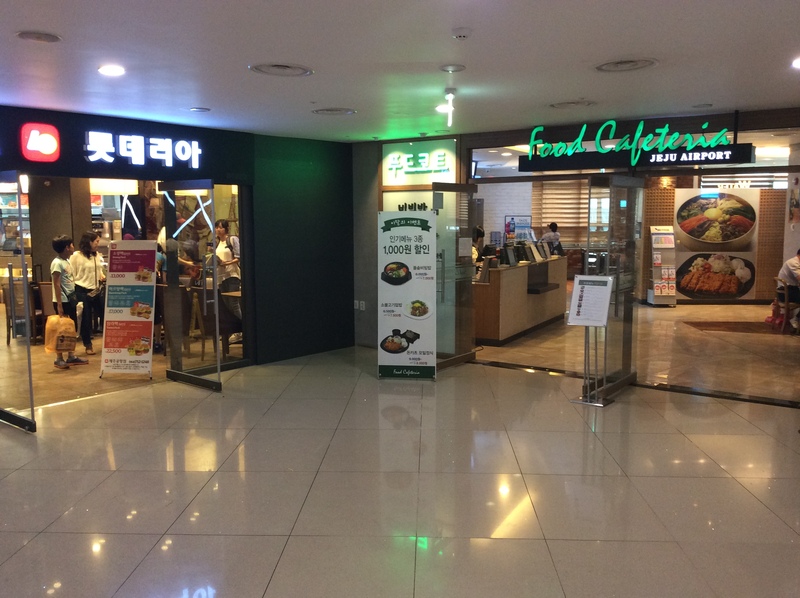 You can go to McD of Korea, Lotteria or can go into the food court right next to the the fast-food chain! 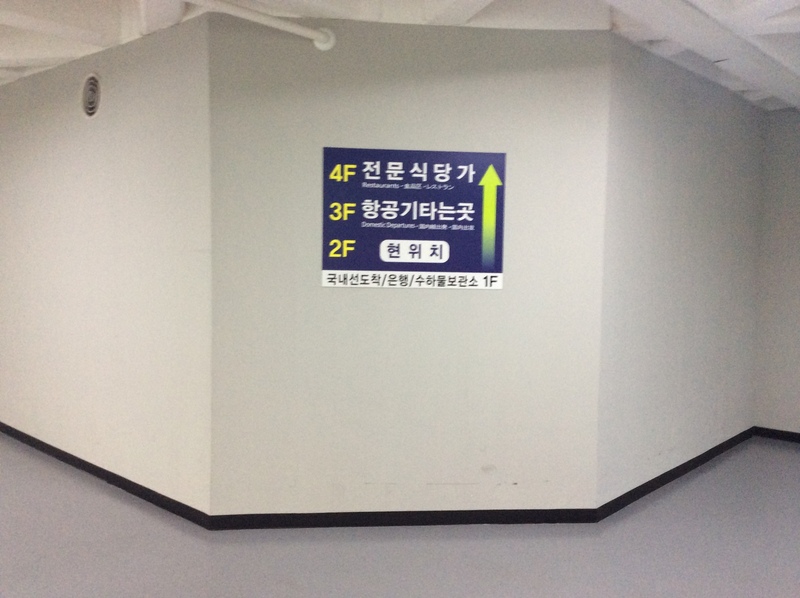 I’m sure that you’d find all these above-mentioned places on the 4th floor of the Jeju Int’l Airport with ease. After having some thoughts, you may have decided to take a taxi or a bus.Now it’s time to choose where to stay. I recommend the Forest hostel or Greenday guesthouse. As you know, guesthouses are what backpacking journeys are for! Of course, you can choose where to stay by searching Airbnb.com. It’s your choice to make! When you’re ready to go and wish to take a cab, go downstairs. When you get out of gate-1, you’ll see a cross walk. 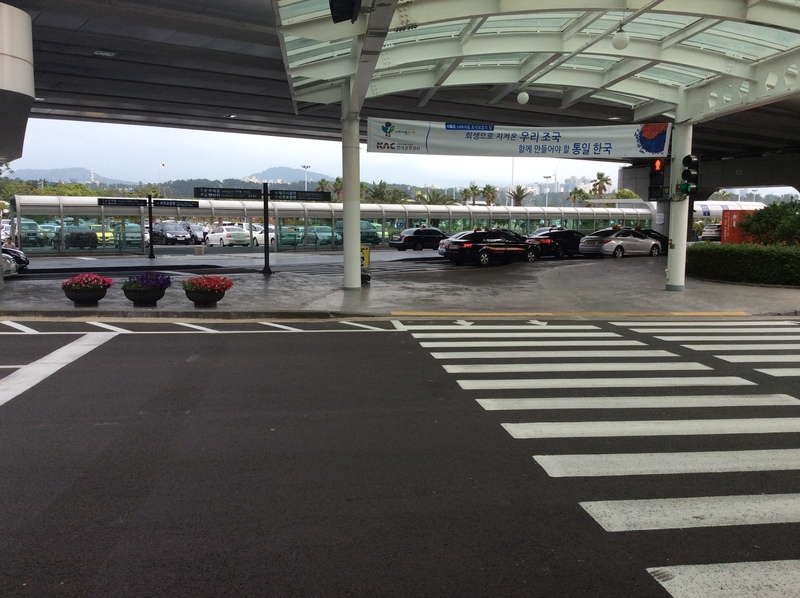 Assuming that you decided to stay in Jeju city, cross the road and take a cab headed to ‘Jeju city’. Cross the road only once. 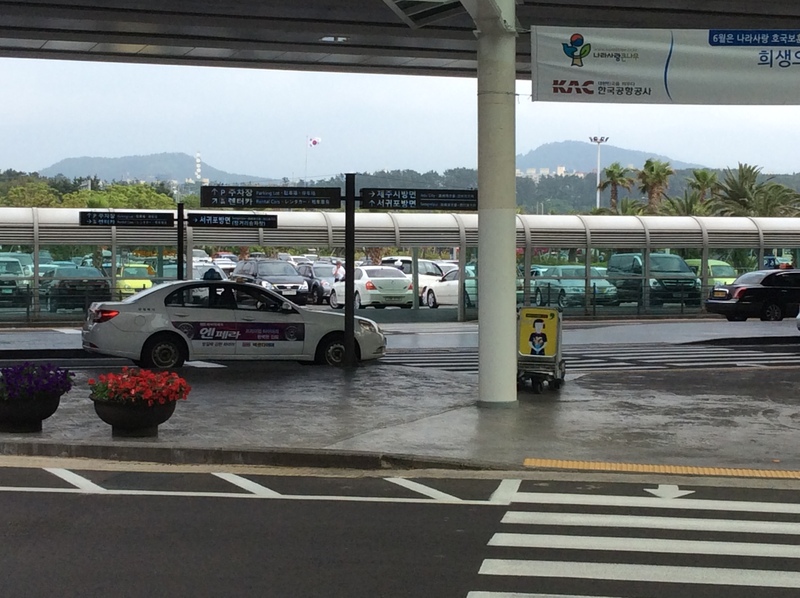 If you cross the road twice, you can take a cab to Seogwipo city. like this. 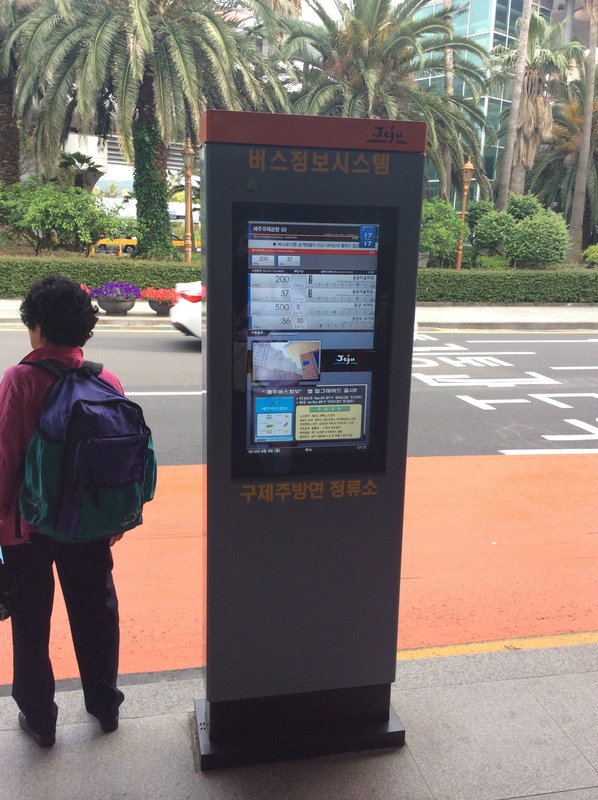 Take a step closer and you’ll see a sign written in Korean. 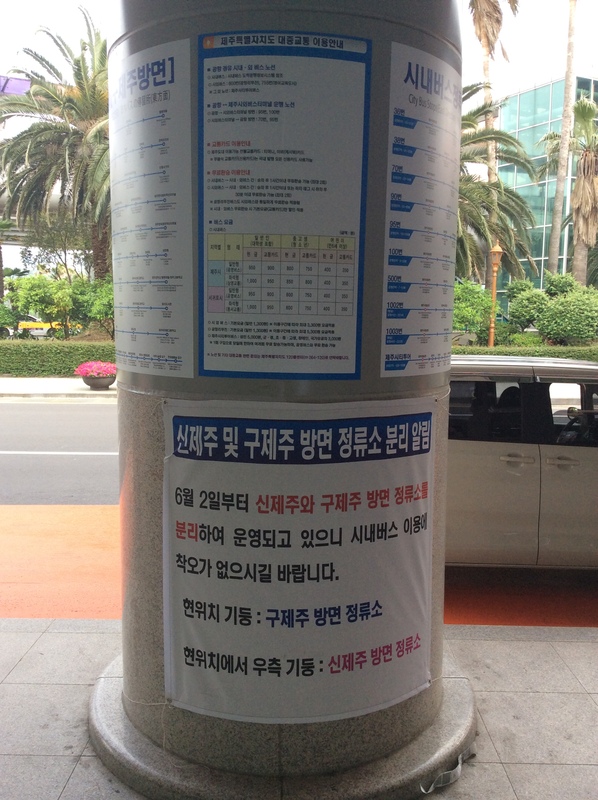 It says ‘Buses headed for Gu(old) Jeju city part will stop near this column, and buses headed for Shin(New)Jeju city part will stop at the next column’. 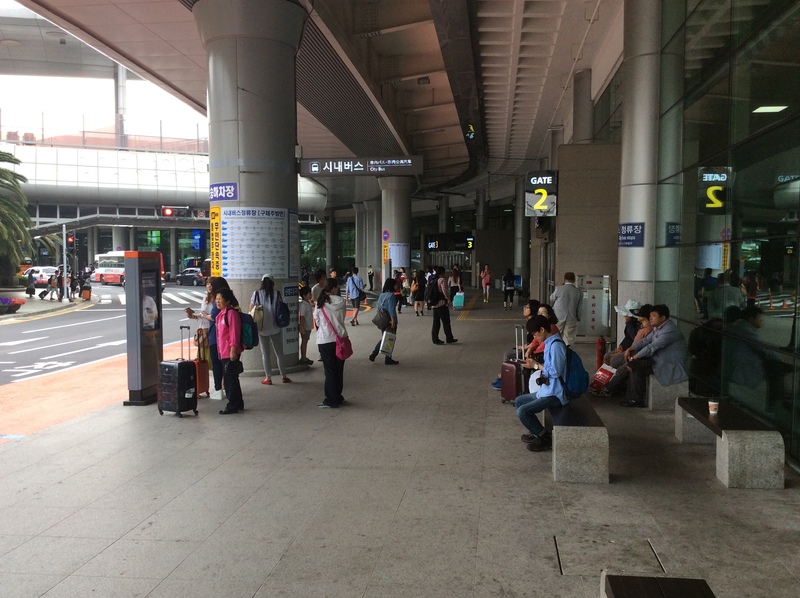 Most of the affordable guesthouses are placed at the east side of Jeju city(Gu-jeju), so it is likely that you will wait for your bus here. 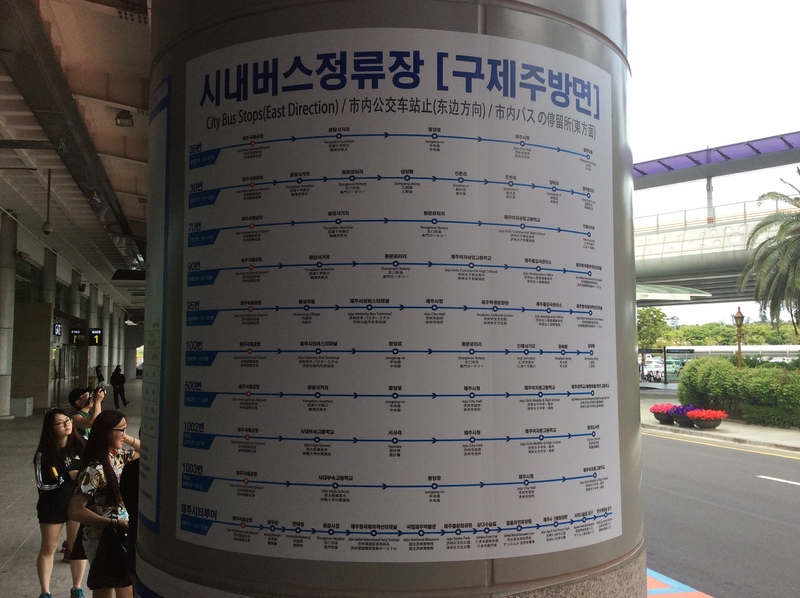 Even with the map you got from the information center inside the airport, finding where to get off will be difficult, because they only wrote down major bus stops here. 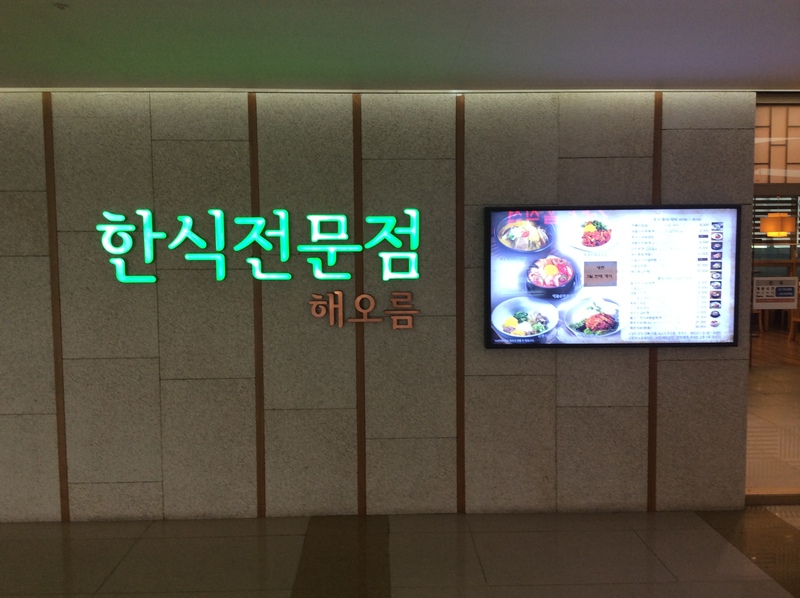 If you install ‘Daum Maps’ App and can read some Korean, you’ll find out where to get off more easily. 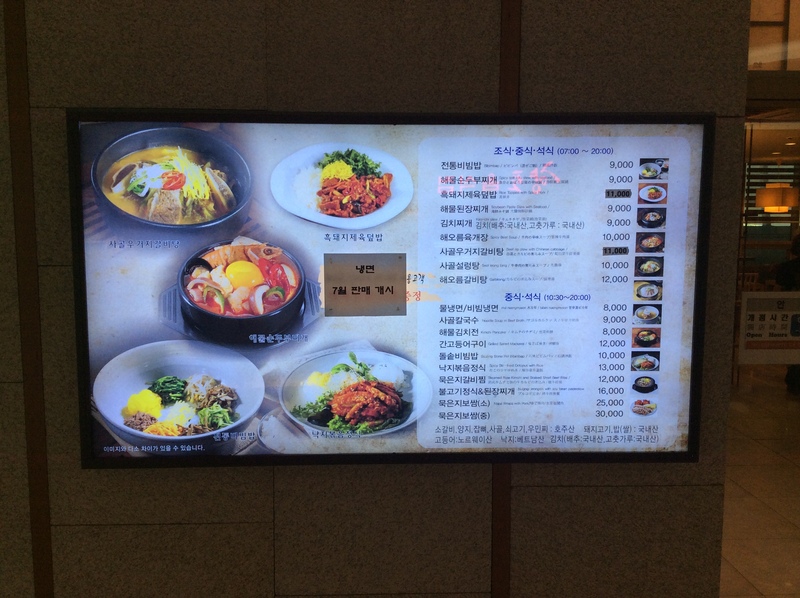 So backpackers, your journey starts from here(구제주방면정류소Gu-jeju-bang-myeon-jung-ryu-so). 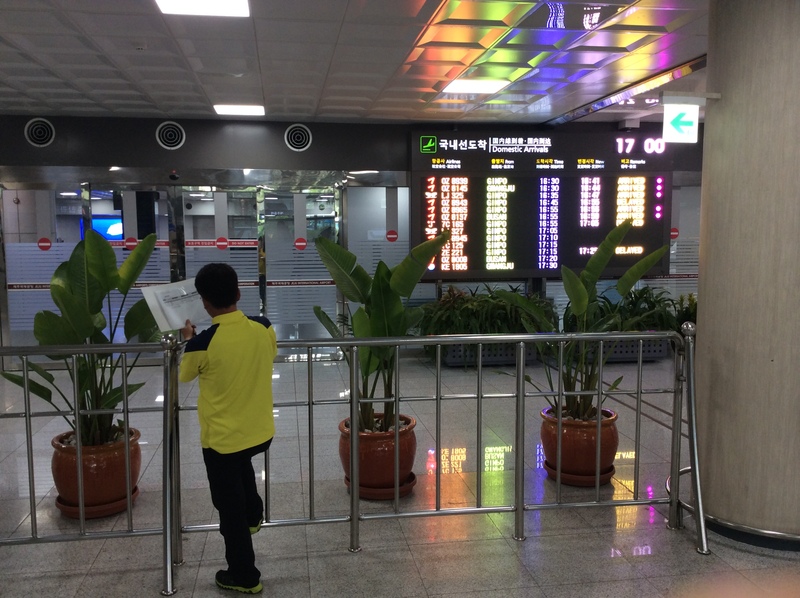 Learning Hangeul letters beforehand will help you a lot during your whole travel in Korea. Wish you all the best for your trip! Hello do you know if domestic airlines take foreign credit cards. 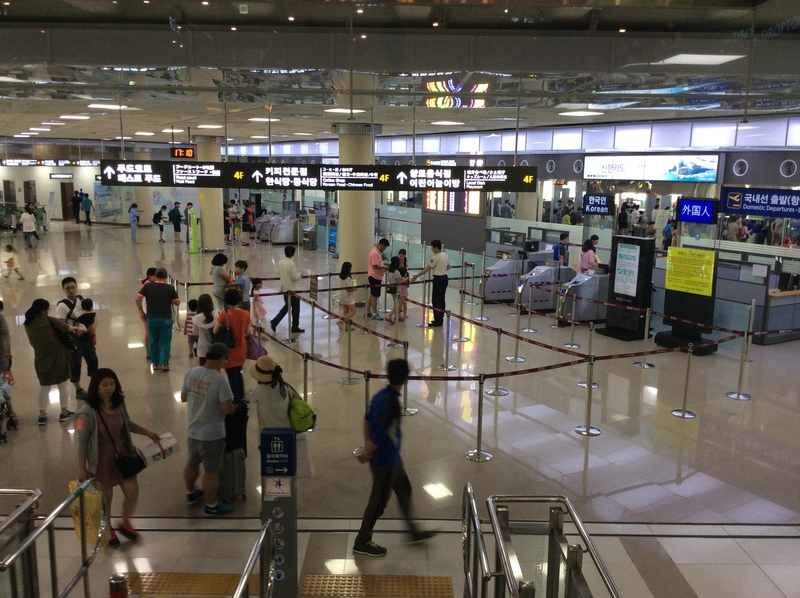 I wanted to reserve airplane tickets for Jeju (flying from Seoul) but I was not sure if I can purchase them. Thank you so much! Hello happybubbletea, they do take foreign credit cards, mostly visacards and mastercards. I recommend Eastarjet for your convenience. Hope you’ll enjoy the time in Jeju!